Q: Many British musicians cite American music as the spark that got them interested in playing. What was your first exposure to American sounds? I grew up with only one TV station and one radio station, but on that one TV station, the BBC, there were some great shows where early rock artists played live, like the Old Grey Whistle Test, and 65 Special. But it wasn’t until I was 11 and first came to America on a trip with my mother that I heard it a lot. I couldn’t believe all the stations and music; I heard my future and was hooked. I had wanted to play guitar since I was 15 years old and the English band the Shadows and the American version, The Ventures, were my first influences; that later drew me further into American music. We tried to copy what we were hearing. Q: Talk about the overall influence of American artists on the British Invasion. A: Johnny and Dorsey Burnette could probably be credited with the start of what we call “Rock & Roll,” with their creation of Rockabilly. Bill Haley and The Comets, Carl Perkins, Eddie Cochran, Buddy Holly, Little Richard, Chuck Berry. The list is long. When it came to the influence of the Blues: BB King, Freddie King, Albert King, Robert Johnson, Sonny Terry and Brownie McGee, Elmore James, Otis Rush, Bobby Parker, TV Slim… It goes on. There would be no Eric Clapton, me, Jeff Beck or other British guitar players if these artists had not been there for us to learn from. Q: What was it about these American artists that “spoke” to Brits? A: It was new and exciting and it was about freedom, same as it was in the US. Q: What are the 3 “touchstones” in your personal record collection? A: BB King Live At The Regal, James Brown Live at The Apollo, and Ray Charles Live At The Newport Jazz Festival. Q: When did you first discover these records? A: I was into these artists, and so were my band-mates Jim Capaldi, Steve Winwood and Chris Wood. We were all fans, and used to talk about them and listen to them a lot. What I love about these recordings is that they’re “live.” There are no tricks in there, and that was the way it was done. Even though recording technology wasn’t anywhere near what it is today, you can still hear the magic because of the magic of these three artists. That’s why any young artist today would serve themselves well to acquire these copies to hear how it’s really done! Q: What, in particular, about these records “speaks” to you? A: These are the artists we learned from. They’re unique, they came first, and you can hear their influence everywhere, even today. It stands the test of time. Q: What did you personally take away from any of these recordings, which has influenced your own work? A: BB King’s guitar playing. Q: Of all your early musical heroes, many of who have passed on, who would you have loved to jam with, given the chance? A: Anything with Eddie Cochran. He had cool songs and they were simple. I would have loved to jam on all of them. Q: You’ve played with practically everyone. Are there artists you’d still like to work with? A: I think the Traveling Wilburys [the ’90s supergroup featuring George Harrison, Tom Petty, Bob Dylan, Roy Orbison and Jeff Lynne] had a great idea going on. I’d love to do that. I’d love to do to a live recording and get together with some of my peers, like Mick Fleetwood, Steven Tyler, Michael McDonald, Graham Nash, Robert Plant, Bonnie Raitt, Derek Trucks and Susan Tedeschi, to name a few. I think that would be a great amount of fun. Find out Dave’s next tour dates, and also learn more about his music and philanthropic activities at, www.davemasonmusic.com. Also follow him on Facebook. PS. 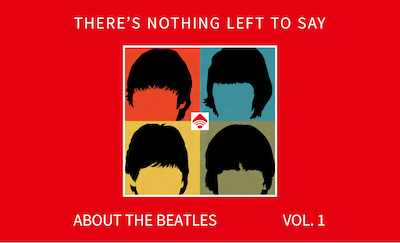 Classic Rock fans might also enjoy our posts on the 31 Concept Albums You May Have Missed, The Studio band that was REALLY Behind the Music and the Twist that Made “Penny Lane” so classic. 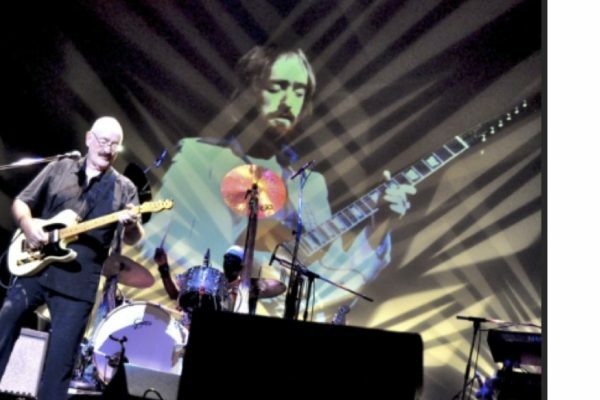 Rock and Roll Hall of Famer Dave Mason has been part some of the biggest groups, artists and songs of the ‘60s and ‘70s. He was a founding member of Traffic, with friends Steve Winwood and Jim Capaldi. He wrote the classic “Feelin’ Alright,” which Joe Cocker made a big hit in 1969. He appears on George Harrison’s album All Things Must Pass and Jimi Hendrix’ “Crosstown Traffic.” Mason has played with everyone from Eric Clapton and Delaney and Bonnie, to Fleetwood Mac and Phoebe Snow. In 1977, he had his own huge hit, “We Just Disagree.” Mason’s career is intertwined with the very best of classic British rock – and he continues to share his copious musical gifts as one of the hardest-touring musicians in the business. Great information Dave! Thanks for sharing. Traffic was one of my all-time favorite groups. Loved your contributions to their successes! Traffic was such a unique group.Each musician was a master and a student at the same time.